The Indie iOS development community is ringing in the new year with a 48 hour sale on their apps in the Fifth Annual New Year’s App Blowout! They have “banded together to bring the world a little bit of holiday cheer”. 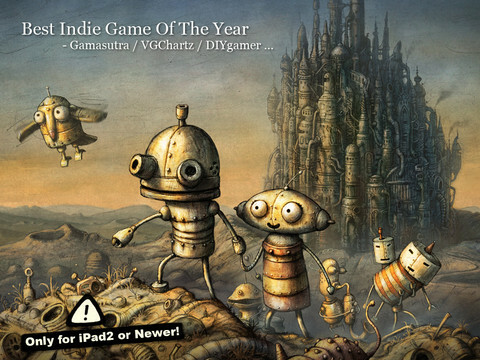 There are some really great titles on sale here like Machinarium and Match Panic as well as a number of completely free titles including Super 7, nozoku and more. Support these developers so they can keep making apps in 2013 and make sure to visit the official site to see if any additional apps have been added to the sale. Note: that some of the sale prices are still switching over, so double-check the price before clicking ‘BUY’.